The Sun Peaks Spa is a wonderful boutique spa that we highly recommend to those looking for a little pampering, with sports related injuries, general aches and pains, and, well, pretty much anyone who longs for a little relaxation. Who doesn’t enjoy a massage!? The spa was first opened back in 2002 by Sonia Donaldson, who seeks to continually improve the services provided by the spa as well as her own skills and qualifications. She is an RMT (Registered Massage Therapist - licensed in BC) and is also trained in yoga, Thai massage techniques, hot stone massage, core stabilization, pelvic complex analysis, foot massage, muscle energy/traction techniques, and much more. The Spa very proudly offers Therapeutic - (Clinical/Orthopedic) & Sports Massage treatments by a carefully chosen team of out of province and out of country Massage and Physical Therapy Professionals with Advanced Orthopedic, Sports, & Rehabilitation Education and Certification. 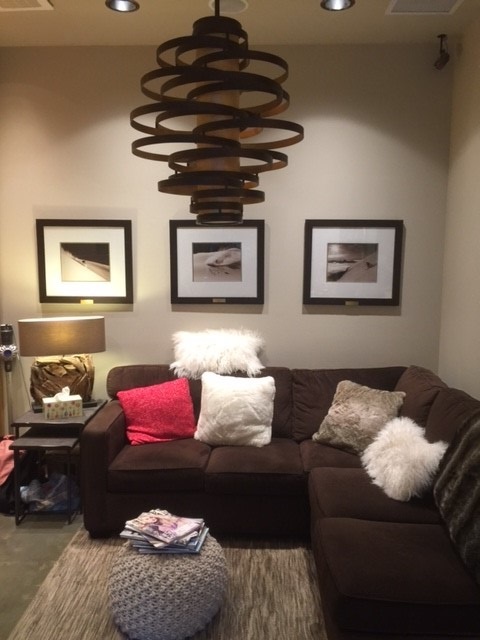 The spa has slowly expanded over time to where they now offer full spa packages, single or side-by-side rooms, beautiful and relaxing views, and a nice lounge and coffee bar, all in a clean, peaceful and welcoming environment with very experienced and friendly staff. They use only natural ingredients and strive to offer their guests a memorable and enjoyable experience. 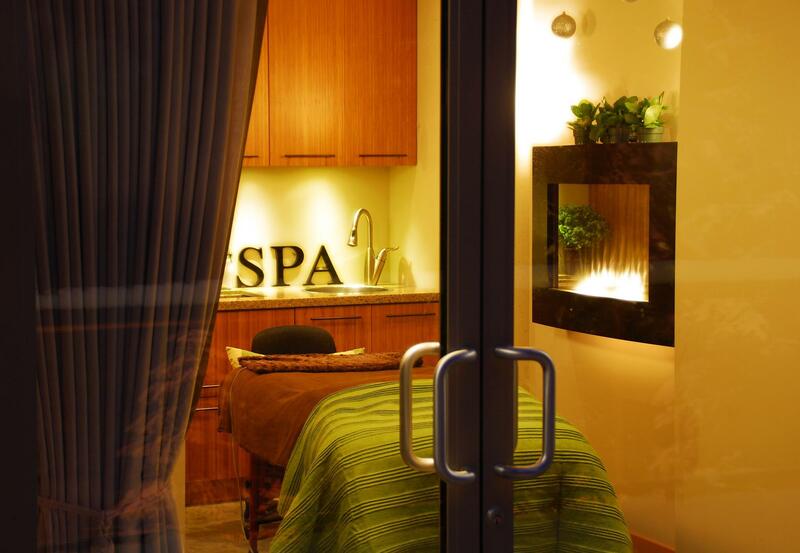 In addition they offer their Sun Peaks Express Spa Services at another location just across the road in the village, which includes 2 popular Hydro Massage beds. We wanted to check out the spa so booked a morning of pampering for Nancy, which included a relaxation massage and a pedicure. "The morning at the Sun Peaks Spa could not have been more perfect!! It was a great morning of being pampered by skilled staff who went out of their way to ensure it was a wonderful experience" said Nancy. All the staff were friendly, welcoming and provided the very best in attentive, caring and professional service. Her host and Massage Therapist was amazing!! 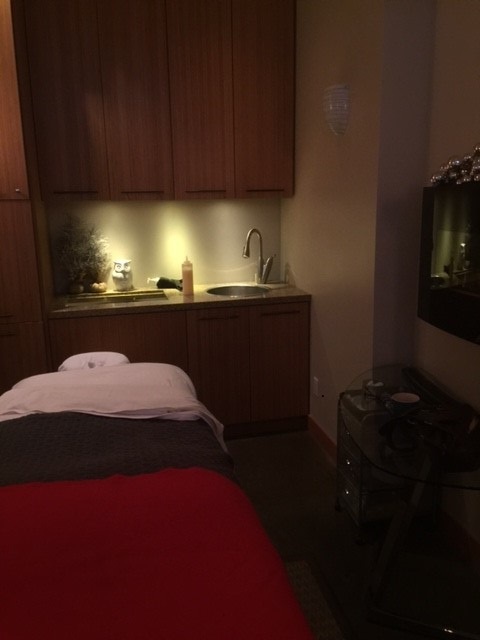 Nancy enjoyed a rejuvenating massage and a wonderful pedicure while being able to relax, unwind and enjoy while looking out at the trees with McGillivray Creek meandering past. The spa is located just across from the main village, in the stylish Kookaburra Lodge. It is also right beside our favorite Sun Peaks restaurant – The Voyageur Bistro, which offers a rustic, early settler-themed environment with delicious, French-Canadian inspired dishes. Book a table in advance and pop by after your spa session to continue your enjoyable Sun Peaks experience. Considered by some to be the best boutique spa they have experienced, they have a number of very skilled technicians with various types of training and certification (including RMT’s for those hoping for a BC medical receipt) and can offer a variety of traditional and unique professional massage services. Massages can be solo/private or side-by-side/couples - be sure to let them know what you would like. Registered Massage Therapy – with a licensed BC RMT, for a combination of massages, hydro-therapy, and therapeutic exercises for medical related issues. Book in advance to ensure you can receive a healthcare receipt, and sessions can be 60-90 minutes in duration. Therapeutic/Sports Massage – for relaxing treatment of sore, aching muscles after a wonderful day enjoying the many activities in Sun Peaks during the spring, summer, fall or winter. This treatment uses hot stones, deep tissue massages, and stretches to help you feel rejuvenated and ready to tackle the mountains again. Sessions can be from 60-90 minutes. Relaxation Massage – which does just that – relaxes you and helps you to feel calm and at peace. A skilled therapist, a heated massage table, soothing hands and relaxing music help you forget about all the stresses of your busy life. 60-90 minute sessions are available. Sun Peaks Signature Massage – designed to fully spoil and pamper you with specialized treatments over a 90 minute period. This custom package makes for the perfect spa-getaway, and combines many treatments including aroma therapy, hot stones, rejuvenating massage oils, steam towel foot wraps, and custom massage therapy. This is the full spa package, and even includes a foot massage as well as a scalp massage. Sign me up!!! Sun Peaks Classic Manicure – with cuticle and nail care, hand and arm massage, and Zoya polish. Sun Peaks Signature Manicure – which includes a hand & arm hot stone massage & exfoliation, cuticle and nail care, and your choice of scent for your special treatment. ‘Hands down’ a wonderful experience. Sun Peaks Classic Pedicure – with a relaxing foot soak, callus, cuticle and nail care, leg and foot massage and Zoya polish. Sun Peaks Signature Pedicure – ‘Step it up a notch or two’ with a signature package, which includes a leg & foot exfoliation, cooling masque and hot stone leg and foot massage, and custom scent complexes and treatments. Eminence Age Corrective Facial – using 100% organic ingredients and Hungarian Massage techniques to increase collagen production and restore elastin fiber, which improves cell vitality and helps to smooth fine lines. And it feels great too! 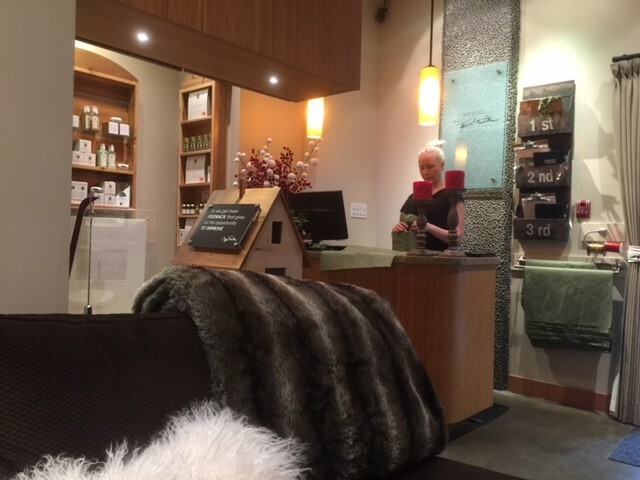 If you feel tired and achy but don’t have time for a full massage, check out their sister company, Spa Express, located just across the road in the heart of Sun Peaks Village. 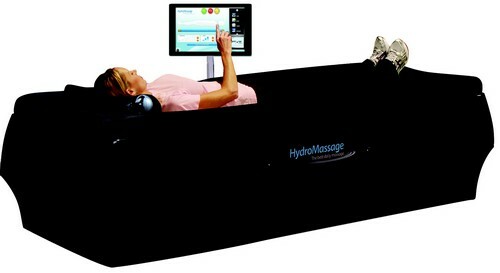 They offer therapeutic ‘Hydro Massage Beds’ – which offers a quick, convenient, customizable 15 minute massage using hydro jets to work on your sore muscles while you are fully clothed and can only spare 15 minutes of pampering! They also offer mini-facials, pedicures and manicures for those who want to look great in as little time as possible. If you prefer to have a professional massage in your own Sun Peaks accommodation – how about a Sun Peaks Mobile Massage? As of June, 2017, a certified RMT is now available for mobile massages. Or extend your day of pampering by booking a Sun Peaks Winery Tour. For more information about various Sun Peaks Spa treatments, complete and submit the form below, or visit the Sun Peaks Spa website.